Why would I need self storage in Petaluma, CA? There are a variety of reasons why you might need self-storage in Petaluma, CA. How much is a storage unit in Petaluma, CA? The cheapest storage unit in Petaluma, CA is $100.00 per month. What size storage units do you have available in Petaluma, CA? In Petaluma, CA we have sizes that range from 5'x5' to 10'x30' to suit your storage needs. How much is it for a 5'x5' storage unit in Petaluma, CA? The cheapest 5'x5' storage unit in Petaluma, CA is $101.00 per month. The suburban community of Petaluma sits between the vineyards of Sonoma and the Pacific coastline, offering both a popular tourist destination and a charming place to call home. The city is part of the North Bay region, less than 40 miles outside of San Francisco. Petaluma grew rapidly over the second half of the 20th century, and though that growth has slowed somewhat, it still continues at a steady rate. Petaluma is a historical California city that retains much of its 1800s charm with Victorian architecture, iron front buildings and the picturesque Historic Waterfront. Once the third-busiest river port in California, this area has given over much of its commerce to more tourist-centered highlights like antique shops, local restaurants and a yacht club. The locals of Petaluma include young families, single professionals, married couples and retirees, all attracted by the city's welcoming community, good schools, charming setting and convenient location. Although San Francisco is a bit far for a daily commute, you'll still find that some residents make the drive for work. The City by the Bay is a popular day-trip destination for Petaluma locals, so you'll be able to easily access its thriving arts and culture scene, professional sports stadiums, historical attractions and plentiful shopping and dining options. Within Petaluma itself, there's also plenty to do and see. A number of antique shops, art galleries and local boutiques provide interesting shopping destinations, and many popular cafes and farm-to-table restaurants also dot the city. Wineries and breweries are among the Petaluma highlights, many offering tours and tastings to the public. Petaluma is also popular with outdoor enthusiasts. You can try paddle-boarding on the Petaluma River, biking through the city streets and backroads, or hiking through one of the several natural preserves in the area. Helen Putnam Regional Park, Tolay Lake Regional Park and Shollenberger Park are just a few of the city's top parks, featuring trails, acres of preserved land and scenic views. If you're looking for a job in Petaluma, you'll find a number of company headquarters and major employers to choose from. Companies headquartered in the city include Amy's Kitchen, Lagunitas Brewing Co., Athleta Inc. and Calix. Among the city's largest employers are Petaluma City School District, Petaluma Poultry Processors and Petaluma Valley Hospital. Petaluma public school students attend schools within Petaluma City School District and Petaluma Joint Union High School District. In addition to their traditional campuses, the districts offer charter schools, alternative high schools and a continuation high school. Major private schools in the city include St. Vincent De Paul High School and Harvest Christian School. Utilities: The city utilities department provides and bills for water and sewer services. PG&E is the city's primary energy provider. Garbage and Recycling: Recology facilitates curbside collection services, including trash, recycling and compostables. Transportation: A few bus companies serve Petaluma: Golden Gate Transit, Petaluma Transit and Sonoma County Transit. The city is also part of the Sonoma–Marin Area Rail Transit rail line. As part of the larger Bay Area, Petaluma has a fairly expensive housing market. However, home prices here are far lower than those in larger cities like San Francisco. It's not unusual to see homes priced at well over a million dollars in Petaluma, but you can also find some options that cost far less. 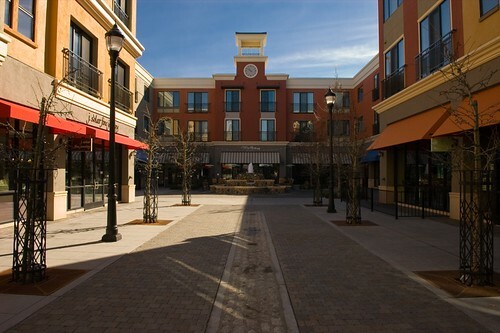 Our lowest priced units in Petaluma, CA average $104.00 per month. 127 people have reserved units in Petaluma, CA in the past 30 days. There are 3 locations within Petaluma, CA's city limits. There is 1 location in Petaluma, CA that offers AC and Heating features.